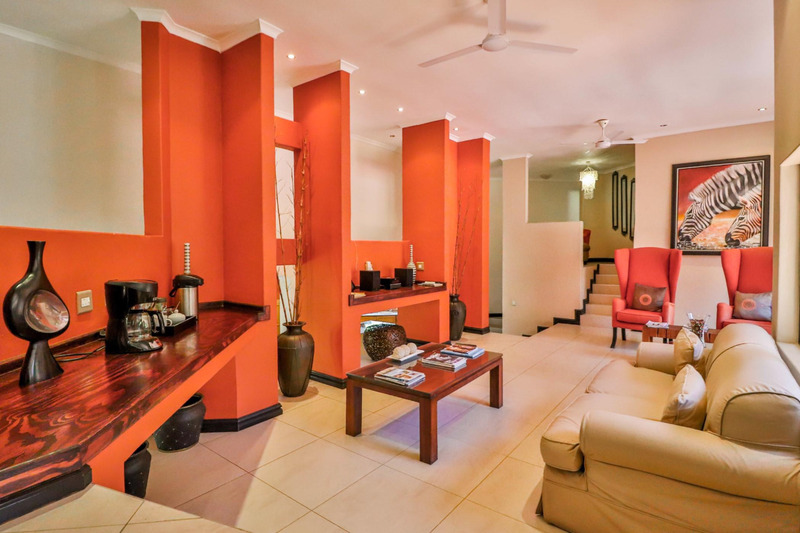 Whether on business or on a holiday get-away, everyone is assured of a warm welcome at Balmoral Place. We are perfectly situated in quiet, secure and restful Cowie's Hill, conveniently located for fast and easy access to Pinetown, Westville, Durban and Pietermaritzburg. Balmoral Place is a private boutique guest lodge, where we want guests to feel at home during their stay and for them to be keen to return to us. We have created the interior of each room as a unique setting with its own characteristics. The look is uncluttered and clean, and spacious lounges and dining areas add to the ambiance. Enjoy all the comforts of home in this spacious and elegant lodge, one of the few bed and breakfast lodges whose large rooms were individually created. The bedrooms are en-suite and furnished to the highest standards. We have wi-fi available and a generator to avoid load shedding. Business clients have space to entertain customers and associates in one of the lounges, the bar area or outside by the pool, where braai facilities are available. A well-equipped kitchen is provided for self-catering, or we can cater a function for you with advance notice. Balmoral Place is open all year and has 24 hour supervision and friendly staff to make your stay with us relaxing and enjoyable.